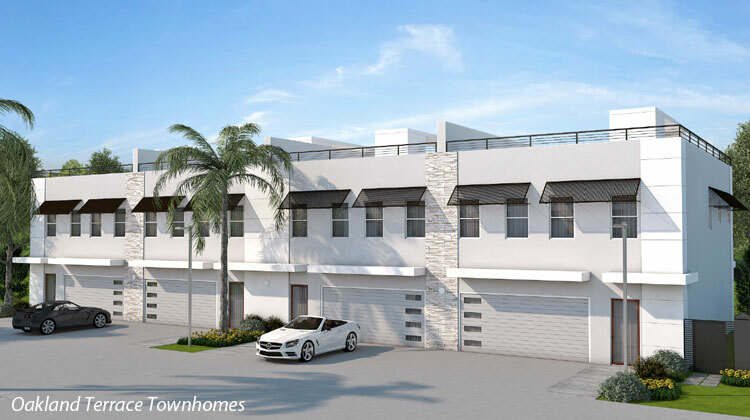 Eight new townhomes will be built on a large lot on NE 35th Street in Oakland Park, just west of Dixie Highway in the Central Business District. There will be two buildings each with 4 townhome units. 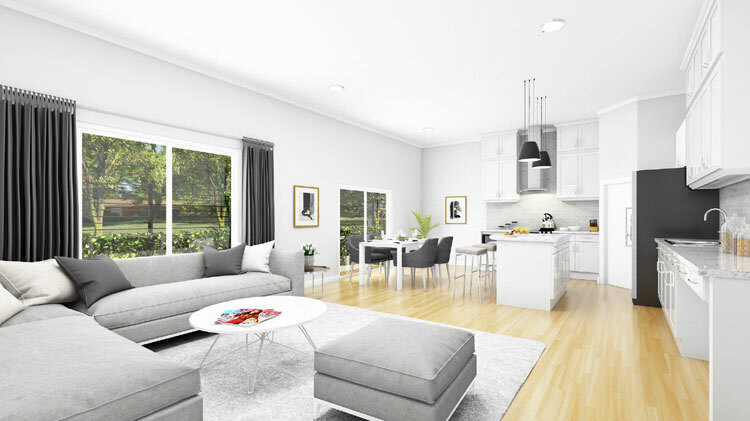 Each 3 bedroom, 2.5 bathroom two story townhome has 2,200 sq. 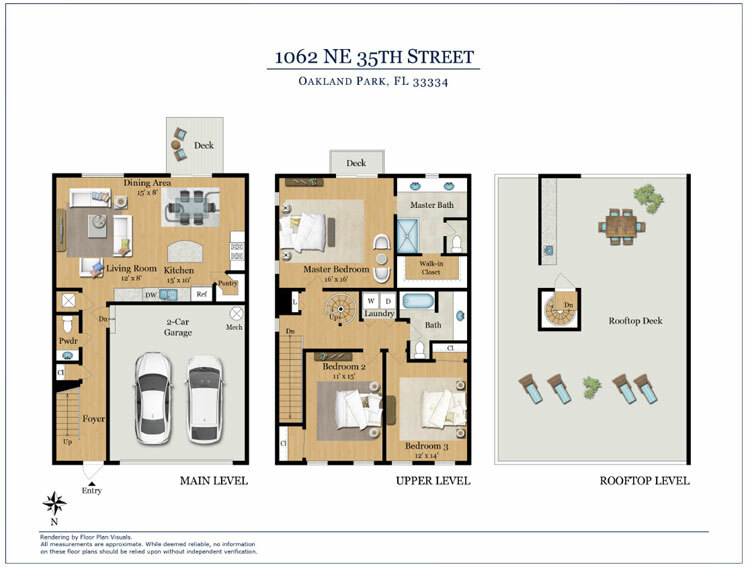 ft. of living space, a 2-car garage, and a 1,000 sq. 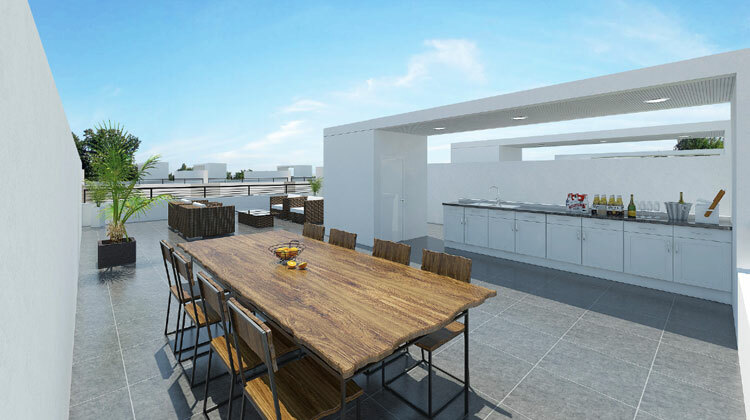 ft. rooftop terrace with an outdoor kitchen option accessible via a spiral staircase. Each unit will also have a large rear patio with a partial wood deck. All three bedrooms will be on the 2nd floor, with a master suite with private balcony, walk-in closet, and double-vanity sinks. The City Commission granted permit approval for “Oakland Terrace” townhomes on Wednesday, November 1st, 2017. The property has a single family home on the double lot, and has been mostly vacant in recent years. It’s last use was by the Oakland Park Shuffleboard Club who used it as their clubhouse. Pricing is estimated to be in the $400,000’s but sales are not available at this time. If you’d like to received updates on this property, contact me to be placed on the list.